Smith Brothers has been named agency of record for the Iron Hill Brewery & Restaurant Group after a competitive review. The partnership comes as Iron Hill undertakes a major expansion over the next five years, opening new restaurants in the greater Philadelphia market as well as several cities along the East Coast. Smith Brothers will create in-store elements, advertising campaigns, promotional programs and a new website for the award-winning craft brewery and restaurant concept, which currently operates 12 locations in Delaware, Pennsylvania and New Jersey. 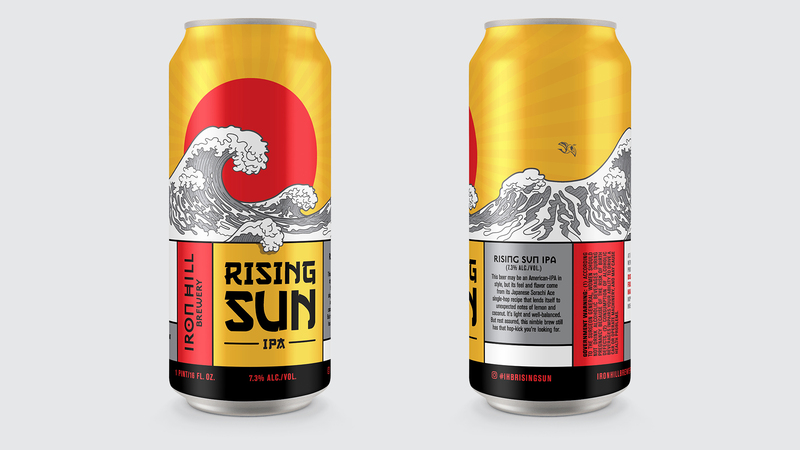 In addition, the agency will be tasked with developing new packaging design for Iron Hill’s limited edition line of canned beers, which are available for purchase at all restaurant locations. The first seasonal can designed by the agency, Rising Sun IPA, will be released on April 20th. “Iron Hill is a dramatically different restaurant experience, with beer brewed on-site at each restaurant, mere feet from your table. Their 20-year track record of producing the highest quality beers, paired with from-scratch food and incredibly committed service staff, truly sets them apart. We’re thrilled to help Iron Hill remind their longtime fans what make this brand so special, as well as invite new customers to experience this difference firsthand,” said Michael Bollinger, President of Smith Brothers. Founded by home brewers Kevin Finn and Mark Edelson and restaurateur Kevin Davies in Newark, Delaware 20 years ago, Iron Hill Brewery & Restaurant has blossomed from one restaurant and brewery to 12 locations across the mid-Atlantic. Each restaurant is dedicated to producing and serving top-quality, hand-crafted beers and cuisine in a warm and hospitable setting, and all are open seven days a week for lunch and dinner. In 2014, Zagat honored Iron Hill by naming them the most popular restaurant in Philadelphia, and their beers have earned 45 medals from the Great American Beer Festival in an unbroken 20-year winning streak that continues today. They debuted their 12th location, in Huntingdon Valley, PA, in August 2016, and recently announced their planned expansion into Center City, Philadelphia at 12th and Market Streets. For more information, visit www.ironhillbrewery.com.